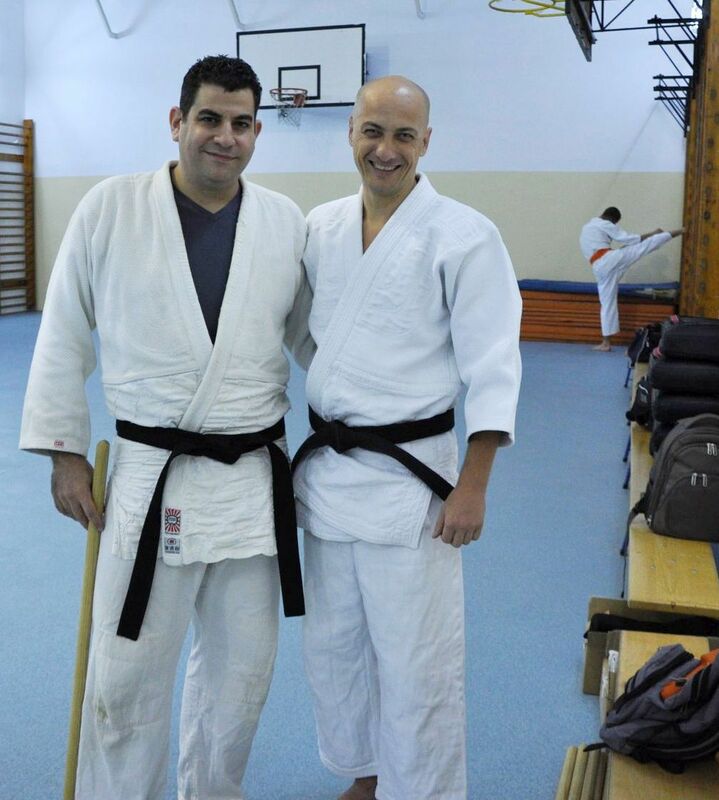 Onn Chen attended the courses of BUKAN School of Krav-Maga in Israel, under the guidance of Yaron Lichtenstein. He was lucky to meet Imi Lichtenfeld personally, who sometimes attended Yaron's courses. 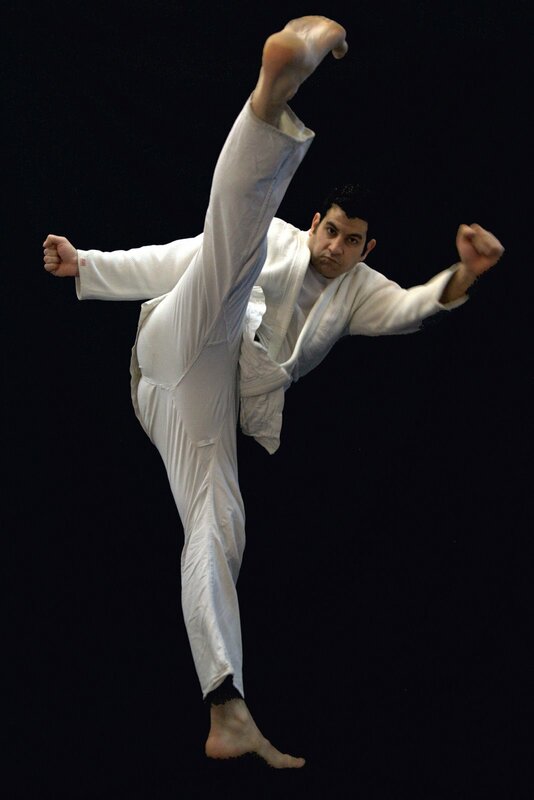 Onn was appointed instructor in August 1993 and in October 1995 he received his black belt in Krav-Maga. In 1998 Onn came to Romania to study medicine. In January 2003 he gathered a group of several people interested and began to teach Krav-Maga weekly in Cluj-Napoca. These were the first Krav-Maga courses ever organized in Romania. In December 2004 Onn has completed his studies and moved to the United States. Before leaving, Onn prepared László Pethő as instructor and left him responsible for teaching the weekly classes. In the following period Onn returned annually in Cluj-Napoca to teach intensive courses, organize exams and prepare László further. He kept in touch with László, supporting him with ideas and advices in its efforts to develop the Krav-Maga school he initiated in Cluj-Napoca. In September 2013 Onn held two intensive courses in Cluj-Napoca. It was an opportunity to celebrate 10 years of continuous activity of our school! "I write my work knowing that what I practice and teach further are what Imi envisioned when he created this somewhat different martial art. 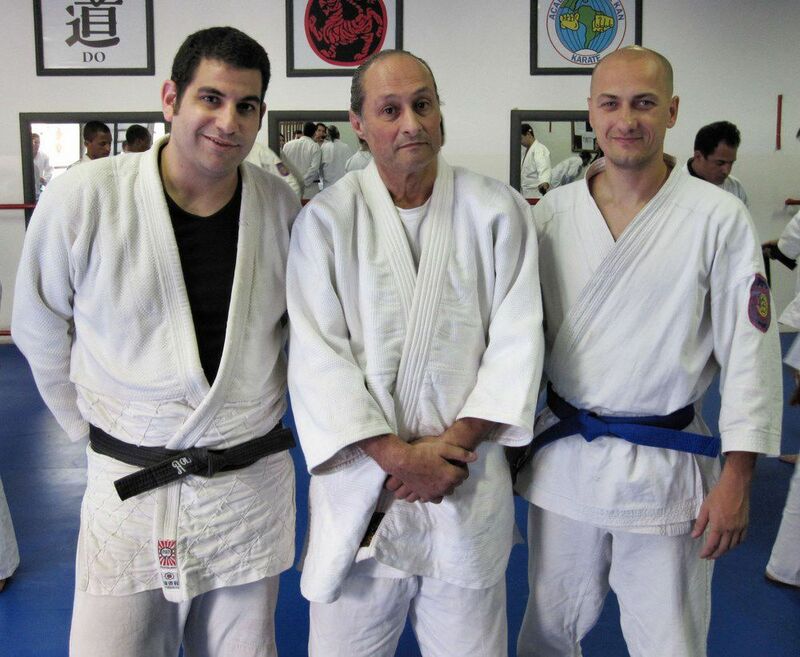 If I were to describe my memories of Imi they would resume to an image of this old man visiting our dojo in Rehovot Israel, an old calm man always well dressed with a hint of satisfaction on his lips, while sitting on a chair at the entrance watching our lessons. Once in a while he would climb on the mat and walk towards one of us elegantly he would correct a thing or two and go back to his chair. I never gave it much thought till now, his visits years ago matter now. If he had been there watching us learn and I practice what I was taught for 20 years, how can I be wrong? Imi created a martial art which is based on self defense and survival, a direct, modest and what seems to be a simplistic art that rapidly became one of the most asked for martial arts both among civilians and military forces, due to its efficiency. Naturally as the world grows more violent, more and more people seek to be trained in an art that would offer them a direct approach to the idea of self defense and at times would be less sporty in spirit. Although it is true any martial art would help you defend yourself, while other martial arts are based on rules to prevent real damage to the opponent, Krav-Maga targets those points exactly, to cause maximum damage. The increase in demand for Krav-Maga brought upon an increase in the number of people claiming they teach Krav-Maga, many of which neither have the slightest idea of what Krav-Maga really is and how it came about, nor do they have the source to learn from. One of the main differences between Krav-Maga and other martial arts professionally speaking is the importance given to details that make the technique useful and efficient for men and women regardless of their strength. It is even worse, that some people who practiced Krav-Maga have changed it; weather due to their unwillingness to admit they do not remember or just to sell better. Regardless, these changes would not have been accepted by Imi who believed that you should do what you can as long as you do it the right way and certainly shouldn’t be accepted by us. This Art has already proven itself; all we have left is to keep the technique and the spirit of Krav-Maga from changing. I hope my work helps preserve Krav-Maga in its original form." 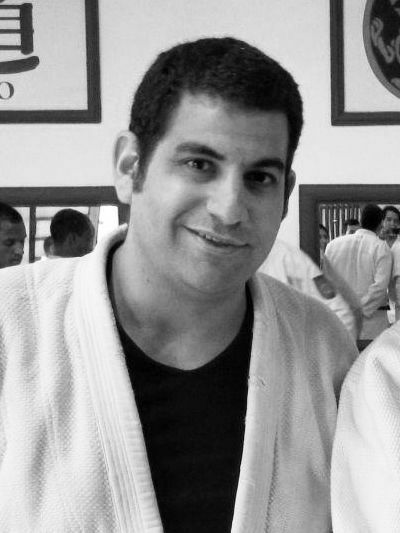 The black belt diploma awarded by Yaron Lichtenstein in October 1995, in Israel. 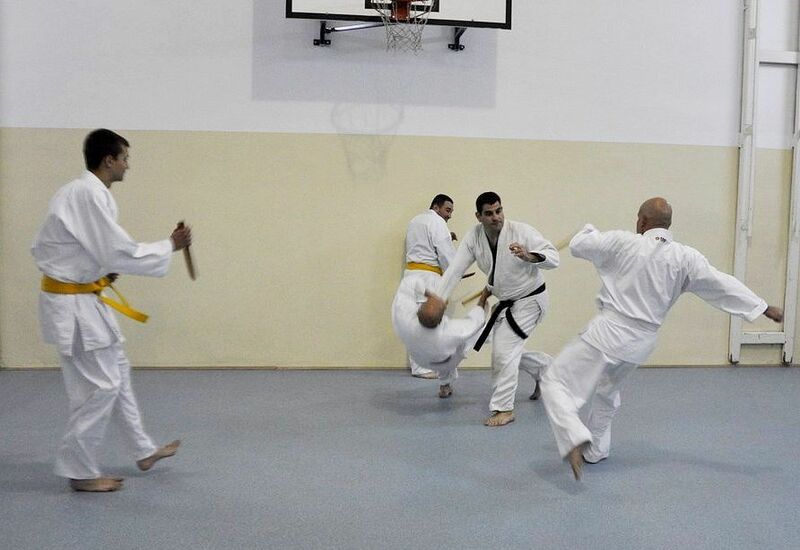 In the photo on the right Onn exemplifies the sickle kick (Beit Magal) in Cluj-Napoca, Romania, in 2007. Defense against multiple opponents which are attacking with weapons in different ways. At the 10th anniversary of Krav-Maga in Cluj-Napoca, in September 2013. Onn Chen and László Pethő at the 10th anniversary of Krav-Maga in Cluj-Napoca, in September 2013. Onn Chen, Yaron Lichtenstein and László Pethő at the end of an intensive course in July 2009 in Goiania, Brazil. Onn and László: defense to the gun threat from the back (hagana neged iyum ekdach meachor) in Cluj-Napoca, Romania, in 2007. 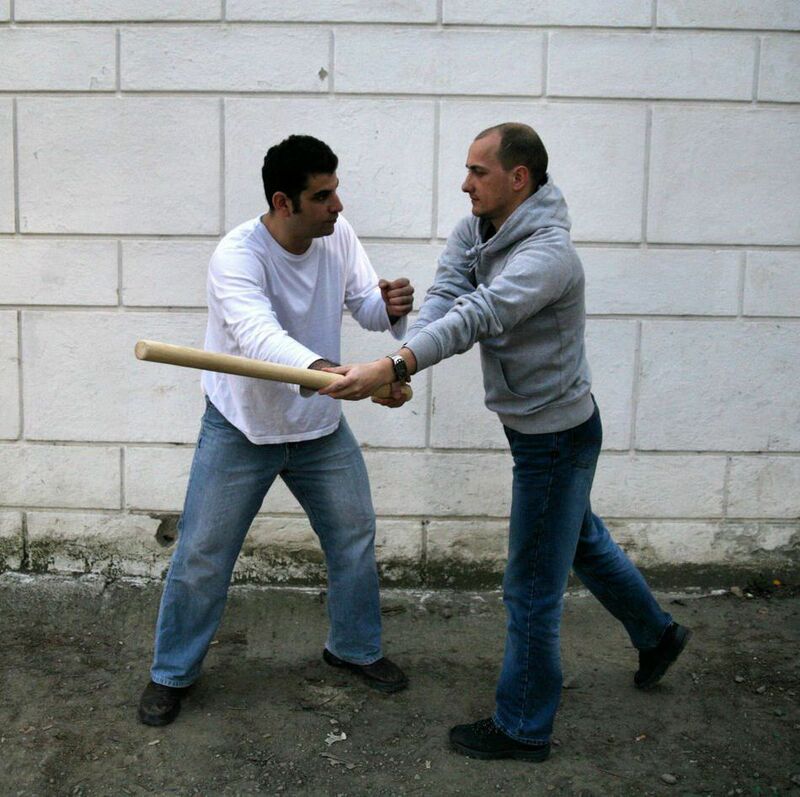 Onn and László: defense against the attack with a stick from above (hagana neged makel melemala) in Cluj-Napoca, Romania, in 2007.